Atari Jaguar - News - PDRoms – Homebrew 4 you - Almost daily console and handheld news! Retro Game Designer is live on Kickstarter! Create your own video games for Sega Megadrive / Genesis, Dreamcast, Playstation 1 & Atari Jaguar! No to very little coding skills will be needed. Supporter versions start from 30 EUR to export for one system, but will feature a nag screen. A full fledged license will be 500 EUR and include commercial usage like selling your game. Bexagon by Bello Games is a new Atari Jaguar game released at Outline 2018. Escape the tunnel and mind the walls! Vladr is working on a Stunrunner Clone for the Atari Jaguar. Fast Food 64 for Atari Jaguar by Wave1 Games has now a preview video with all five game modes shown. The game was previously known as Fast Food 2600 Remake. Fast Food 2600 for Atari Jaguar by Wave1 Games got a minor update. Please check out the video. Fast Food for breakfast anyone? Well… even if not… Fast Food 2600 by Wave1 Games will make it’s way to the Atari Jaguar as a game remake. Xevious is going to hit the Atari Jaguar! Based on the arcade game of the same name, Xevious for the Jaguar was written from the ground up and is a near-perfect version of the original game. Rebooteroids is a new take on an arcade classic for the Atari Jaguar. In development for over six years, Rebooteroids is finally ready to be released! Rebooteroids features 100 unique levels, plus 10 ‘kombateroids’ levels for multiplayer head to head. 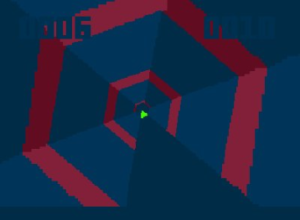 The game also features a ‘skirmish mode’ whereby randomly generated levels of increasing difficulty challenge the player. * Five gameplay modes (see below)! * Share your high scores online with QR code! * Features original music by 505 and MSG / reservoir gods. For 80 USD this game could be yours! Custodian is an Arcade shooter in which you have to protect energy bases from parasites that are trying to drain it dry! It will be the very first release for the Atari Jaguar by Piko Interactive. It features 4 area levels, many weapons and power ups, and awesome chiptune music! Pre-orders will be available 2-3 months before shipping starts. The game will be manufactured with all new parts and assembled by hand. Packaging will come factory sealed. Der Luchs is currently cooking up another Atari Jaguar game called Arne – Jäger des Jags. It’s soon ready for pre-order. It’s a simple Jump’n’Run game where you need to reach the top a level. If you want to discuss about the game you can do so at the AtariAge forum.